ProgDVB is a universal application for watching digital television and radio channels from any source including satellite, cable and on-the-air TV, Internet and others. ProgDVB supports a wide array of data sources such as Internet TV and Radio with a list of more than 4000 channels, DVB-S (satellite), DVB-S2, DVB-C (cable), DVB-T, ATSC, IDSB-T, IPTV, analog TV and includes functions that will enable you to search, play and record YouTube videos and play videos stored on your computer. - Support for HDTV is enabled including H.264/AVC. - Built-in functions for Picture-inPicture and simultaneous recording/playback or multiple channels from one or more devices. - Contains a channel preview gallery. - Supports most DVB, IDSB-T and ATSC devices, including DiSEqC and CAM interfaces. - Support is enables for all digital TV audio formats such as MPEG, AC3, AAC and others. - Allows you to record TV and Radio channels. - Supports playback of files from hardware storage devices. - Contains an Electronic program guide from Digital TV, XmlTV and JTV. - Teletext function is provided. - Subtitle (text, image-based and closed captions). - Support is enabled for VR, VMR7, VMR9 and EVR renderers including OSD (except VR), independent from channel type or signal presence. - Network broadcasting is supported. 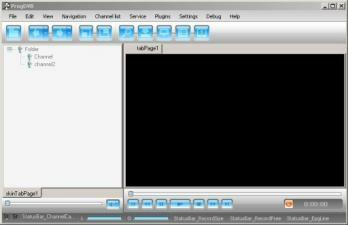 - Multiple skins are provided for both OSD and GUI. - Works on both 32 and 64-bit versions of Windows. An operating system that you boot from your DVD or thumb drive to protect your privacy and anonymity.